Tinder is the world's most popular dating app for meeting new people with millions of user. 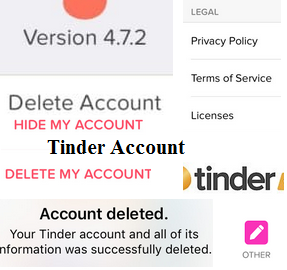 Tinder is the hottest app in the internet that is helping millions of people find their partner or life.If you want to delete your account, you’ll need to do it directly on the app. 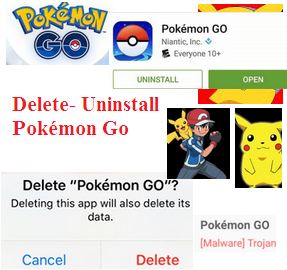 Please note that you'll permanently lose your matches, messages and other information associated with your account. If you’re ready to say goodbye to your matches and messages for good, you’ll need to delete your Tinder account. If you dont want to use this online dating service and are wondering how to deactivate your Tinder account, then follow the below given method. Open the app in your phone. Note: *Deleting the Tinder app does not delete your account. If you subscribed to Tinder Plus or Tinder Gold using your Apple ID or Google Play Store ID, deleting the app and/or your account does not cancel your subscription. If you subscribed on Tinder for web (Tinder.com), deleting your account will cancel your subscription automatically. Open the App Store app and scroll to the bottom. Tap on your Apple ID and select ‘View Apple ID’. Sign into your Apple ID account. Scroll down and tap ‘Subscriptions’. Select your Tinder subscription and select ‘Unsubscribe’. Tap Menu > My Apps > Subscriptions. Tap on Tinder to cancel your Tinder Plus subscription.